But in the meantime I also pulled down the ebook via Kobo, since I wasn’t about to try to take a signed hardback anywhere in my backpack. And I’ve gotta say, I was expecting the read to be delightful–but hadn’t really quite grasped how fun it would be to go through a few hundred pages’ worth of Alan essentially telling us all about the first half of his life. I already knew the man has a command of language; I have, after all, been following his blog posts on greatbigsea.com and his own site for years now. And I’ve been to many a GBS concert in which he’s launched into amusing tales while at the mike. I’m very, very familiar with the cadences of his voice at this point, after 14 straight years of Great Big Sea fandom. And reading Where I Belong pretty much was just like hearing Alan tell a very long tale at a kitchen party, I swear. His voice came right through into his writing, and it was made all the more delightful by assorted pictures of his young self and assorted family members. 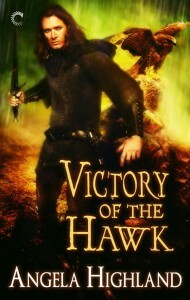 At the end of each chapter came an additional anecdote, often tying into Great Big Sea, that gave the overall narrative good structure and eventually brought us to the big turning point of Alan’s life: i.e., the founding of the band that would make him, Séan McCann, Darrell Power, and Bob Hallett famous. Some of this stuff I already knew, just from being in the fandom as long as I have. Some of it, though, I didn’t–particularly Alan describing the poverty of his early life. Boy howdy can I sympathize with that. And now that I’ve actually visited St. John’s, bits of the book kept resonating for me. Particularly Alan’s tale of the first visit he ever made to O’Brien’s–which has sadly now gone bankrupt. 🙁 I’ve been in that store. And I have a very healthy respect for the significance it’s had to the history of music in St. John’s. Those of you who’ve read Faerie Blood and who will hopefully be getting Bone Walker by the turn of the year–you also know my Warder boy Christopher is a Newfoundlander. And reading Alan’s book, for me as an author as well as a GBS fan, kept triggering little moments of “ah yes, this would be important to Christopher and all of his family”. So yeah. Absolutely required reading, if you’re a Great Big Sea fan. And I’d even recommend it if you’re not a GBS fan, just on the strength of Alan’s storytelling. The man does have a way with a word. And I’m hearing rumors he may be already thinking of writing another one. To which there can of course be only one proper response: yes b’y. 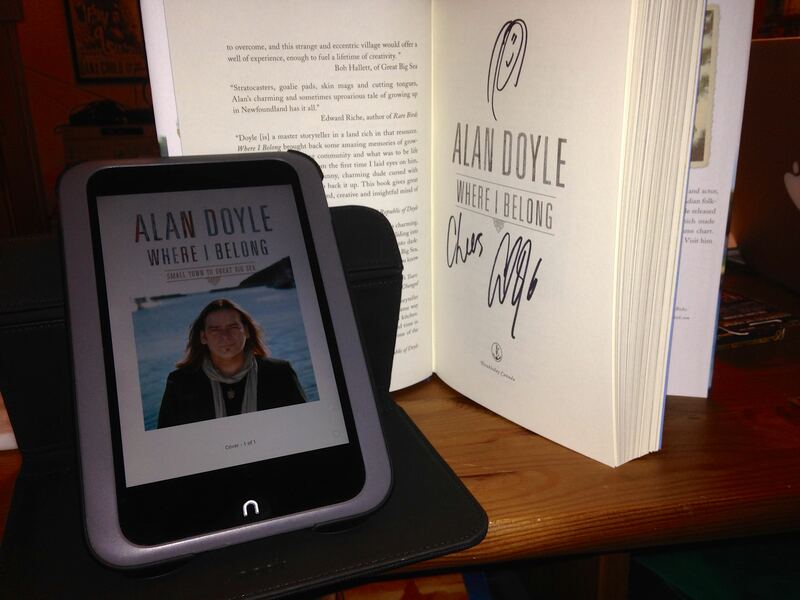 And here: both of my copies of the book, the signed one from greatbigsea.com, and the ebook on my Nook HD!